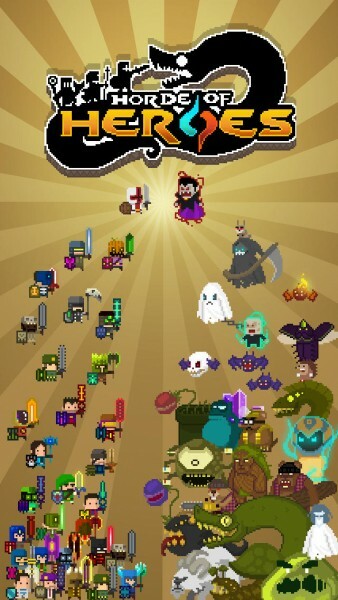 Horde of Heroes (Free) by Everplay is a match-three RPG of epic proportions. 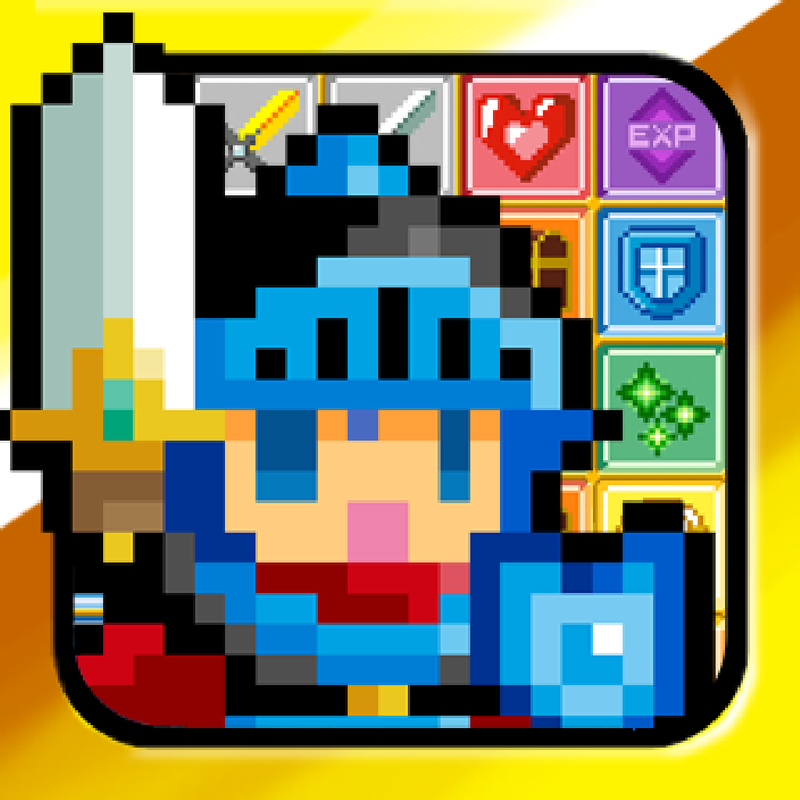 If you are a fan of match-three games and the traditional RPG filled with collecting different pieces of loot, then get ready to combine both of your loves into a single, addictive game that is packed with pixelated action. 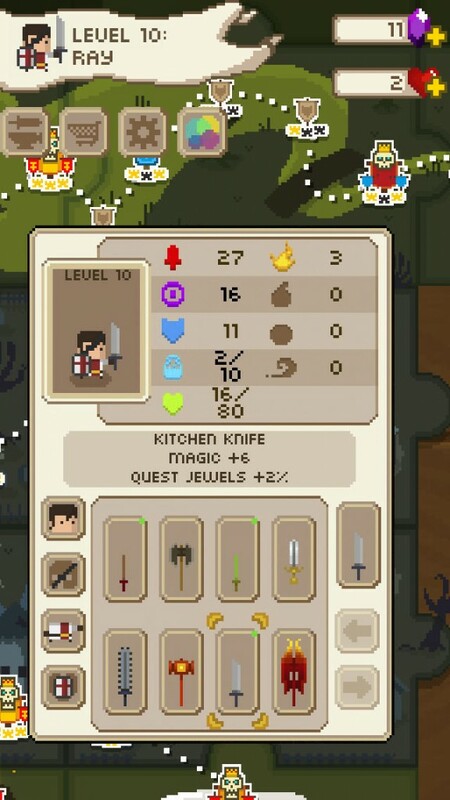 It’s similar to Block Legend, but without the roguelike part, so you can keep your character progression. 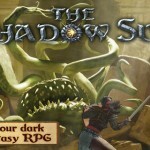 There’s two things I absolutely love playing: match-three games and RPGs. When you combine these two categories, you always end up with quite an addictive little mix, similar to others like Puzzle Quest and even Doctor Who: Legacy. 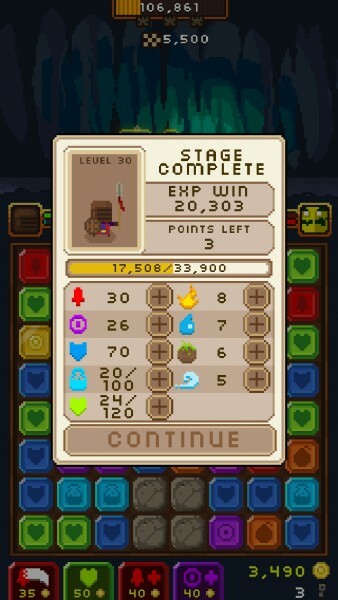 I’ve been a fan of Everplay ever since they came out with Spellsword a couple of years ago, so when I saw that they were releasing a match-three RPG, I knew I had to have it. Since I’ve downloaded it last night, I had a really hard time putting it down. The visuals in the game are absolutely delightful, and should be appealing to anyone who grew up with 16-bit games. 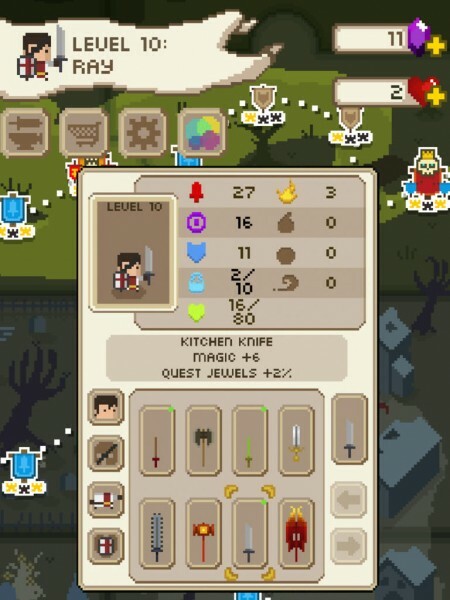 The hero sprites are all pretty basic when you first choose one, but as you begin collecting loot to customize their abilities and skills with, things become much more interesting. 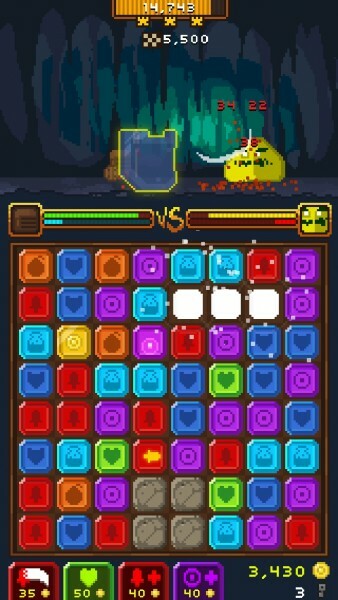 The different areas that your character will explore and battle in (along the top of the screen) are lush and rich in detail, while the game pieces that you’ll be matching are colorful, vibrant, and quite clear on what they do. 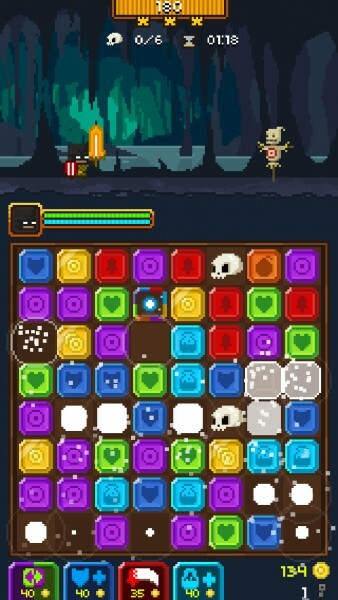 The soundtrack is also quite adventurous, and is a joy to listen to while you match and defeat your foes. 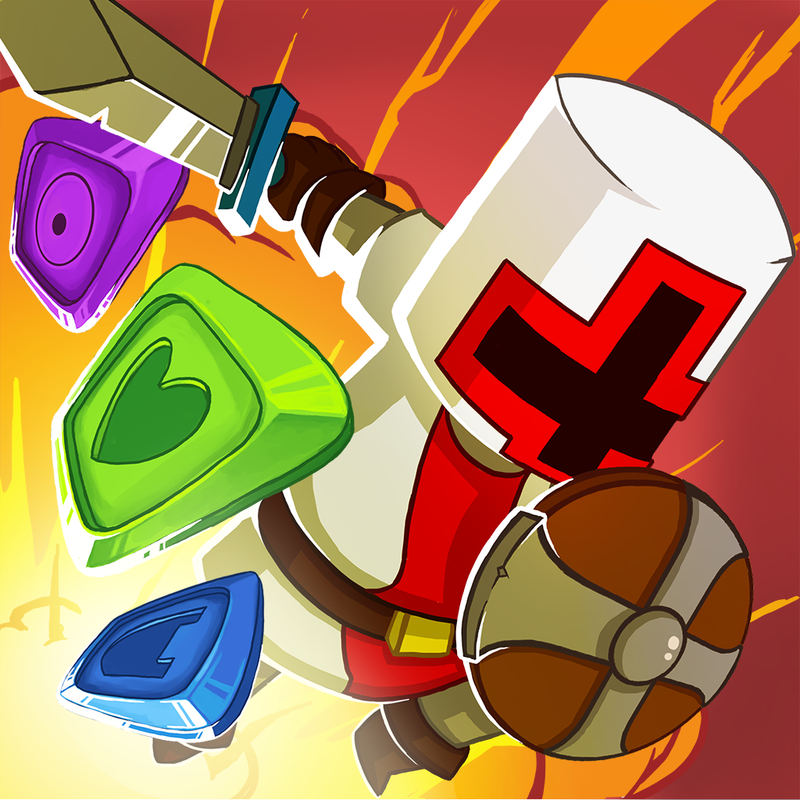 Sound effects are quirky and fun, especially when you begin to rack up large combos and matches — you’ll hear nothing but constant hits on the enemy and blocks blowing up. 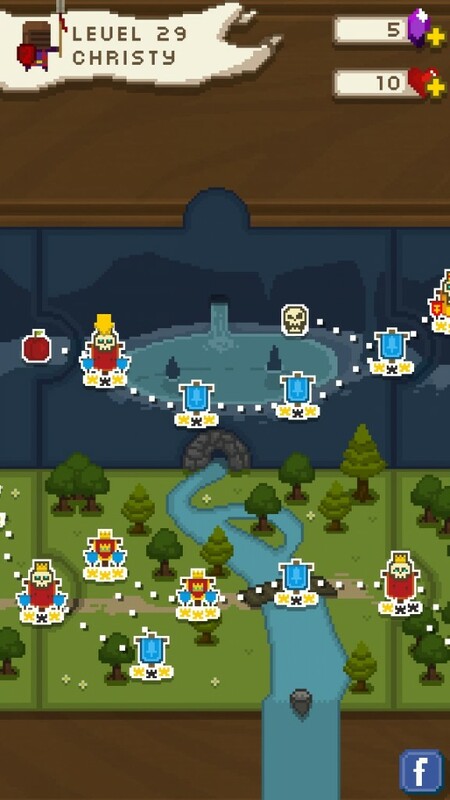 The game has a ton of levels, which are all spread out through a world map. 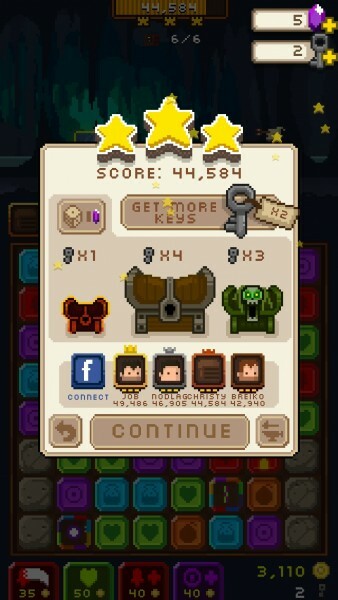 You’ll have to unlock each new sector by earning stars on levels, though, so it’s pretty linear. 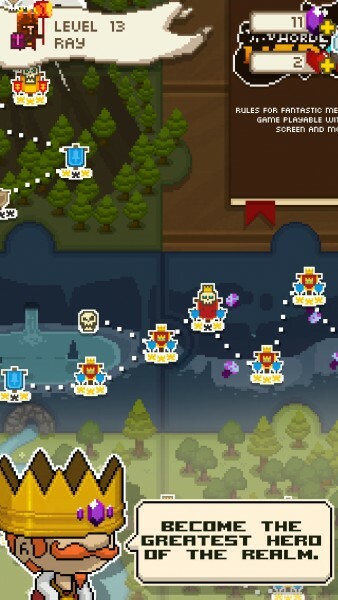 If you don’t have enough stars to unlock a section, you’ll have to replay old levels and do better than you did previously in order to earn the stars needed. 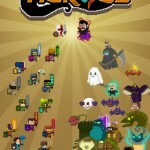 You can select any unlocked level to play at any time, though each one will have a heart cost to play. 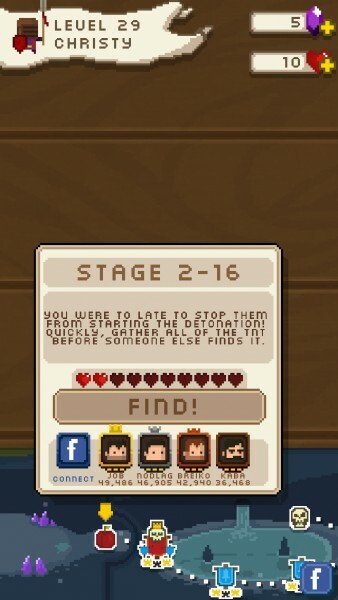 If you don’t have enough hearts, they’ll get refilled over time. I’ve said this before, but I’m not a big fan of this energy system at all. I would much rather just pay to have a game and play it infinitely, rather than having to wait before I can play again. Each level will have its own set of objectives, which will range from just defeating the foe, breaking the defenses after a certain point, and collecting various resources in the area. 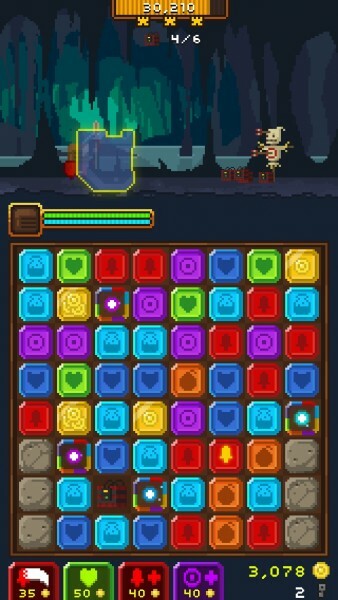 Sometimes, to make things more difficult, the level will need you to complete the objective in a certain amount of moves, or within a time limit. Regardless of the objective, you can also earn up to three stars on the level, and there is a gauge at the top to show you the point threshold needed to earn these stars. 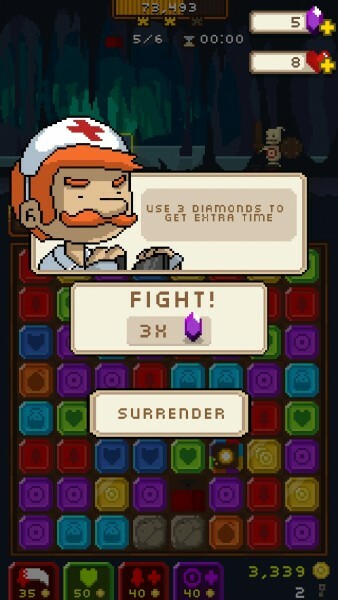 If you fail to meet the goal, you can either surrender and try again from the beginning, or pay a couple of purple gems to continue. These are the premium form of currency, and you can buy more if you are running low, but you are able to earn them sparingly just by playing the game (they’ll be on the game grid and can be acquired by making adjacent matches). 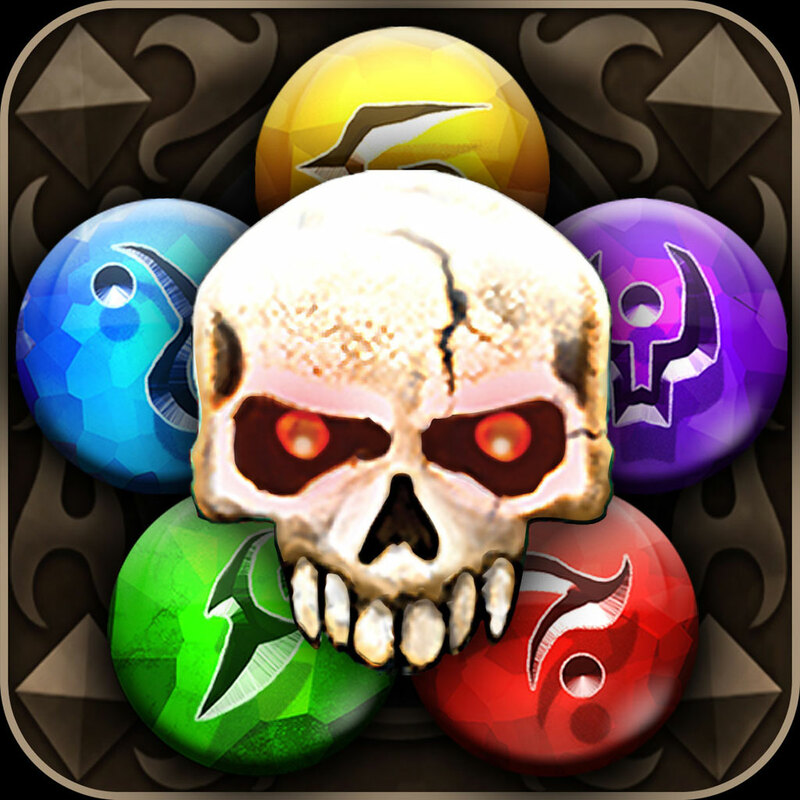 Successfully completing a level will also get you some experience points, and when your character levels up, you can distribute some attribute points into your attack strength, magic, mana, or health, and even increase the potency of various elemental magics. 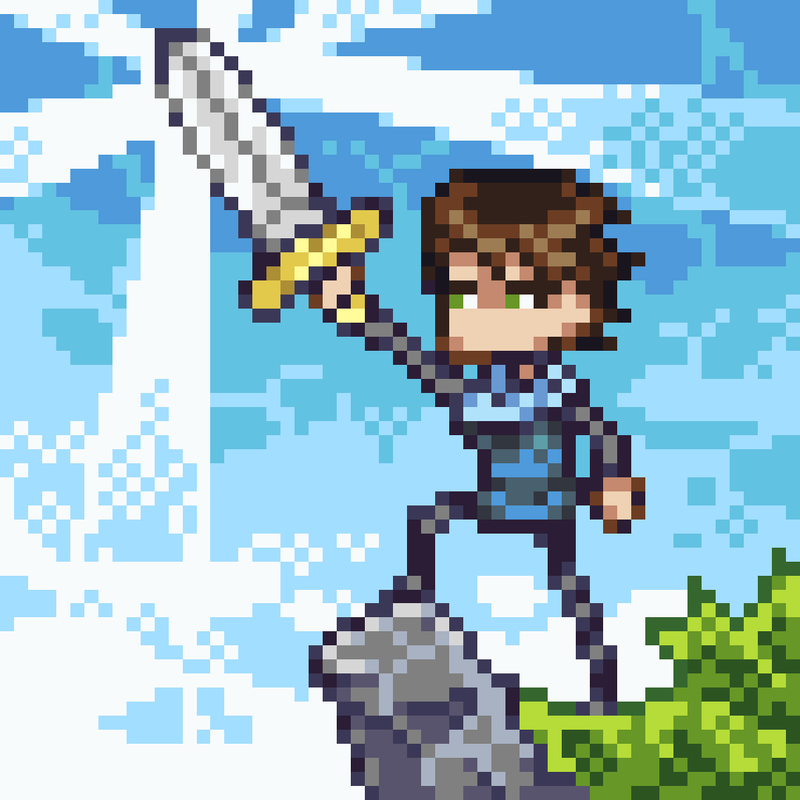 The game grid will consist of various colored blocks that have a different purpose in battle. For example, matching up the red swords will allow you to perform a physical attack with your weapon, whereas the blue shields increase your defense so you can take more hits, the green hearts will refill your health bar, and the light blue bottles replenish your mana. 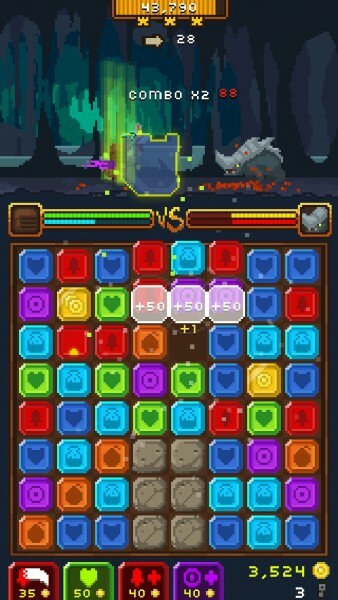 You will need mana to perform magical attacks with the purple blocks, and there are even coin blocks that will give you bonus coins when matched. The orange bombs will blow up a good cluster of adjacent blocks, which can chain off into long combos, meaning you are landing more consecutive hits on the enemy, bringing them down quicker. 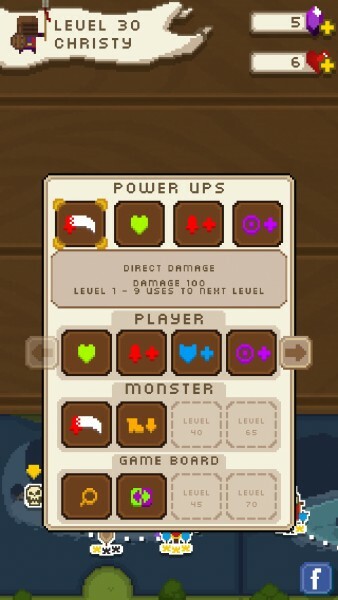 For those levels where the objective is to collect key items, this is done by getting those items down to the last row of the grid, where they will “fall” and be collected. 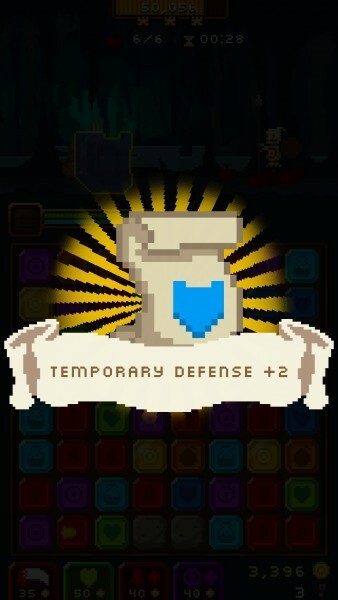 Things get tricky when the game introduces rock blocks that cannot be destroyed, and will block these items from being dropping, unless you can move them to another column. 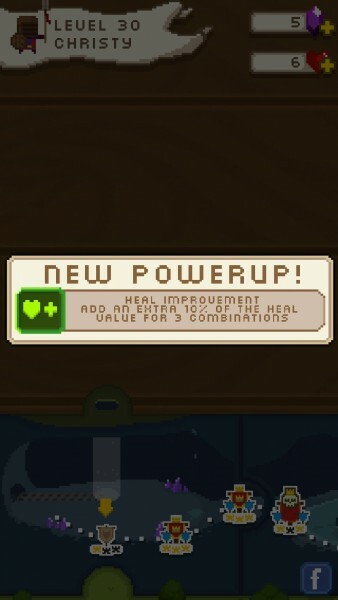 Sometimes, you will be rewarded with treasure chests that will contain a piece of equipment for your character, or a temporary power-up for the next level. 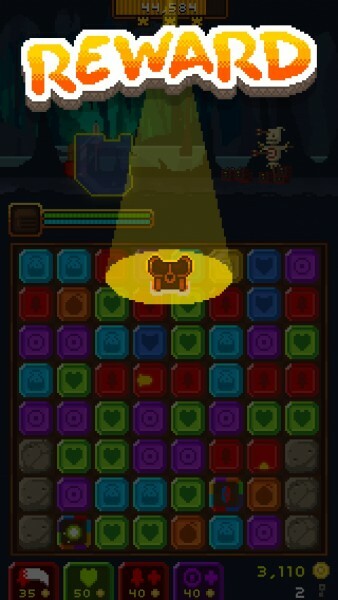 You can even find keys sometimes hidden away on a grid, and these can be used to unlock a chest of your choosing after completing a level, as long as you have the number of keys required. 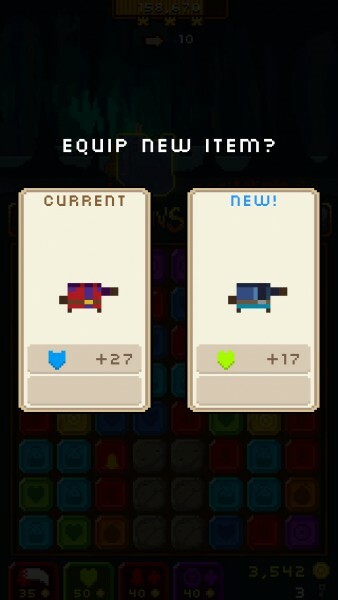 When you get a new piece of equipment, the game will ask if you want to keep your existing gear on or change to the new one, so there’s that sense of instant gratification. 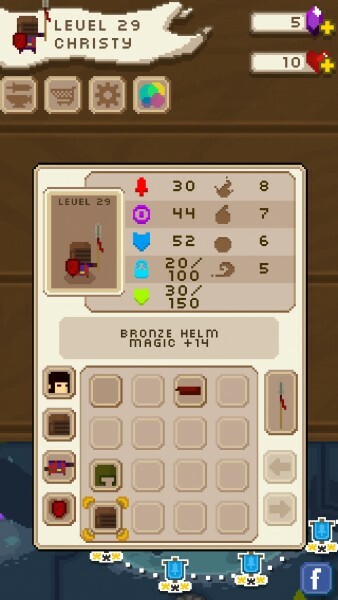 Once you get a ton of loot, it’s fun to experiment with your character for different play styles. You can always access your character profile by tapping on the banner in the top left, and then change gear (apparently there are over a million combinations) and distribute leftover points if you missed some earlier. 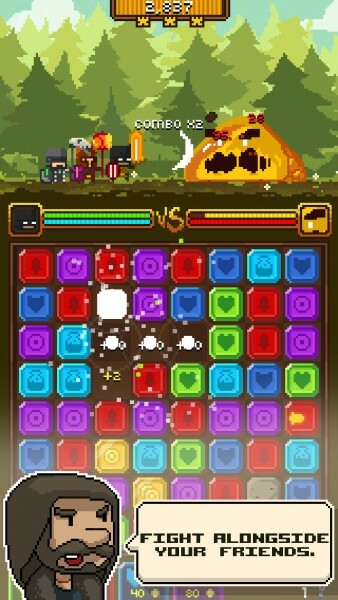 The game can be linked with your Facebook account for co-op play, or you can compete with your Facebook friends. There is Game Center support as well, but only for achievements, oddly enough. 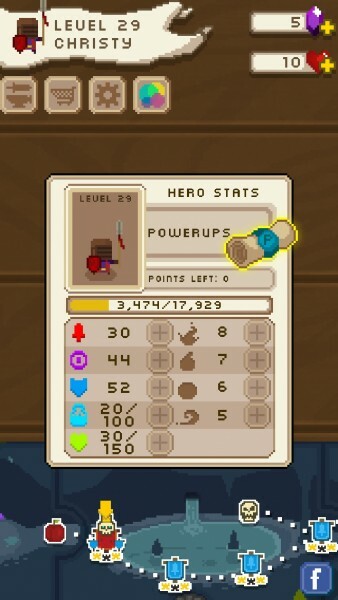 Though I’m not a fan of the energy system that is used in the game, I am still enjoying Horde of Heroes quite a bit. In fact, I had a very hard time putting the game down last night after I downloaded it, and even stayed up a bit past my bedtime because of it. 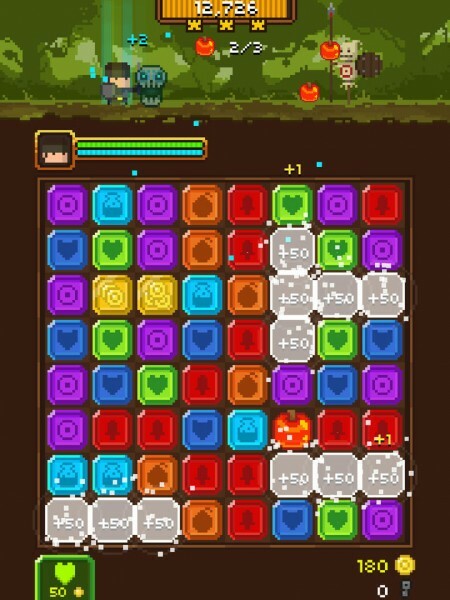 The visual art style is stunning, the music is pleasant, and the match-three battle gameplay is challenging and addictive. 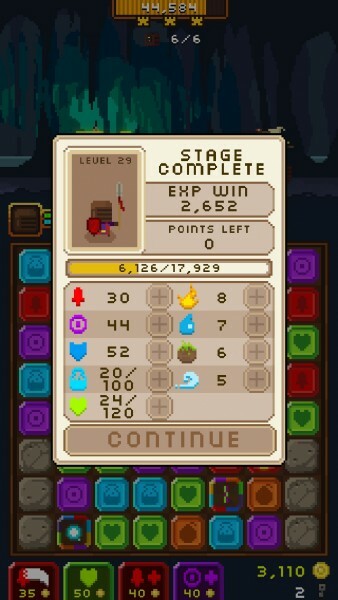 Though you may feel like pulling your hair out on some levels, it’s always quite rewarding to finally conquer a level that has been giving you trouble. 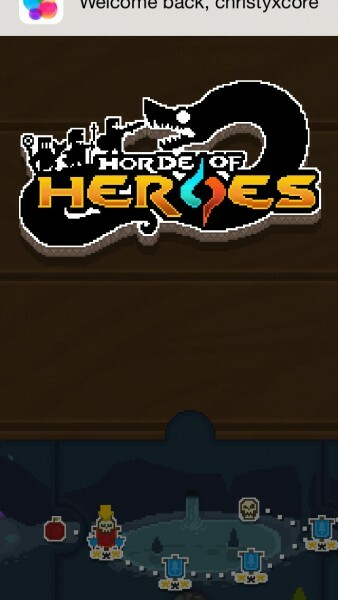 If you enjoy these fun match-three RPG hybrids, but want to keep character progression, then I highly recommend that you check out Horde of Heroes. 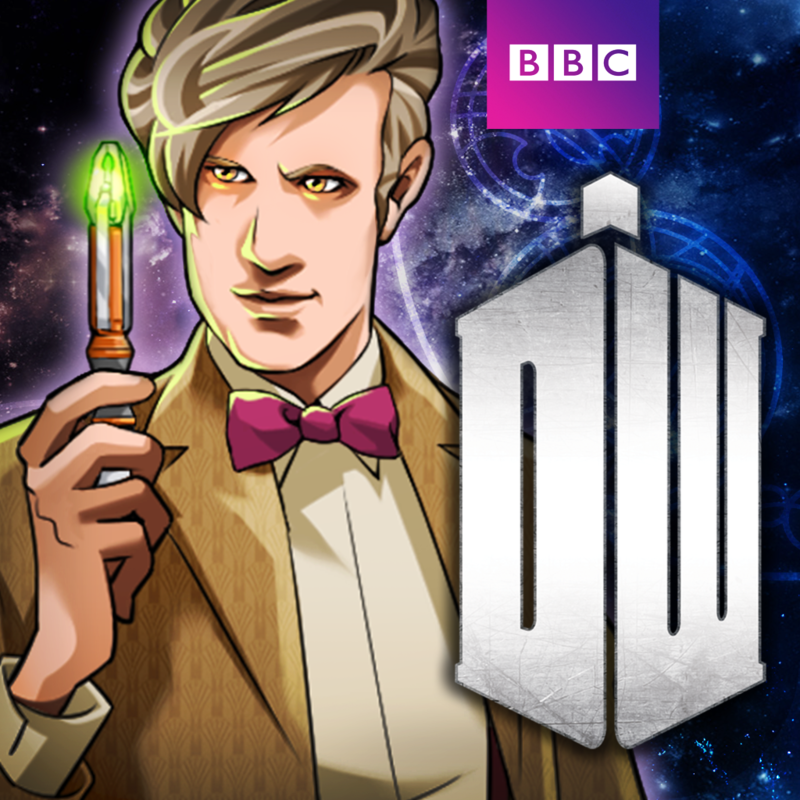 It’s available on the App Store as a universal download for free.